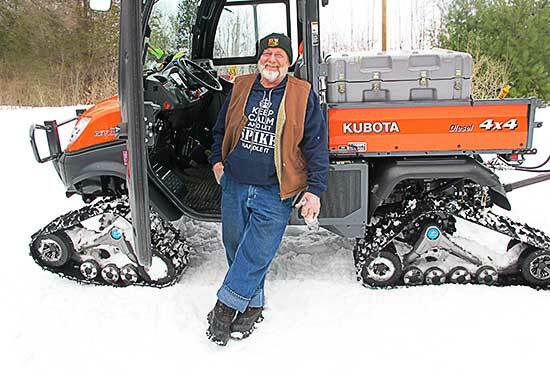 Snowmobile Association of Massachusetts member profile: Spike Wheeler is a member of the Colrain Sno-Drifters and has been riding sleds for 45 years. His current ride is a 2012 Ski-Doo MXZ TNT 600 ACE. Sled mods: Just a bigger windscreen. Club position: Trail worker and groomer, SAM delegate. Favorite riding area: I like it all, from Conway, MA to Vermont, and BGL to Greylock. We are lucky to have so many real good clubs in our area. Tell us something about yourself: I like building drags with my friend Maloney (Catamount Man) on the other side of the river. My hobbies include boating and waterskiing, old David Brown tractors, model trains, and, oh yeah, snowmobiling. Sound Off: S.O.S. Save Our Snow. Don’t spin your track! Make a groomer happy!